Ashbridges Bay Park is located in a beautiful area on the waterfront in the east end of Toronto. 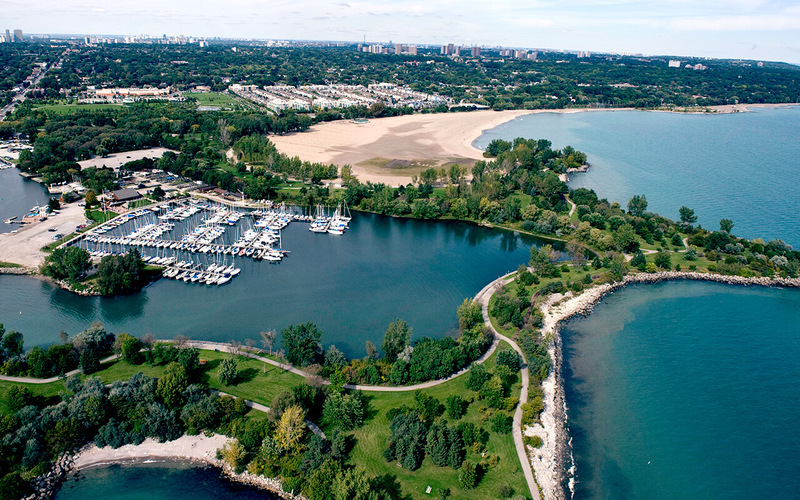 Ashbridges Bay was once part of the large sand dune chain spanning the majority of the Toronto Harbour. These dunes were the result of sediment from the Scarborough Bluffs being deposited by the currents from Lake Ontario. Portions of The Martin Goodman and Waterfront trails pass through the north end of Ashbridges Bay Park. These paved and hard-packed walking trails allow for accessibility as do the park's multiple parking lots. Take a stroll along the Woodbine Beach Boardwalk, relax on the wide sandy beach, or enjoy a refreshing swim in Lake Ontario. Picnics, bird watching and hiking are all popular activities available at Ashbridges Bay. There is also a skateboard park nearby.